With such great unique features like a braking assist, hill start assist, stability control, traction control, anti-lock brakes, dual airbags, side air bag system, digital display, and airbag deactivation, you'll be excited to take this 2016 RAM 1500 SLT for a ride. It comes with a 6 Cylinder engine. We've got it for $20,995. Be sure of your safety with a crash test rating of 4 out of 5 stars. 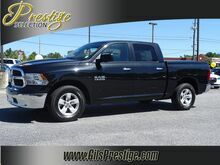 Complete with a ravishing black exterior and a brown interior, this vehicle is in high demand. Want to learn more? Call today for more information. 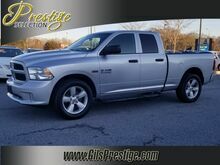 This 2016 RAM 1500 Big Horn is a great option for folks looking for top features like a backup sensor, remote starter, backup camera, parking assistance, braking assist, hill start assist, stability control, traction control, anti-lock brakes, and dual airbags. It has a 6 Cylinder engine. We're offering a great deal on this one at $21,995. Want a crew cab you can rely on? This one has a crash test rating of 4 out of 5 stars! Flaunting a beautiful blue exterior and a gray interior, this car is a sight to see from the inside out. Interested? Don't let it slip away! Call today for a test drive.